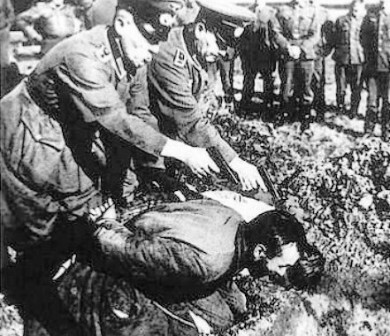 Another part of my article on the actions of Hitler’s Einsatzgruppen and their campaign of mass murder in Eastern Europe. This section is about the campaign in Russia. 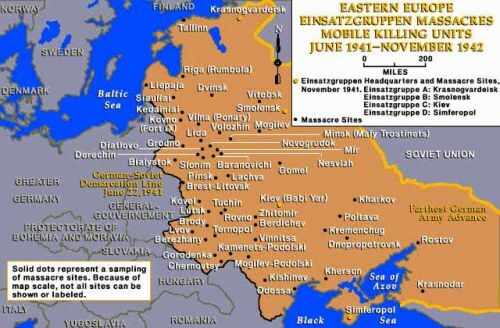 It is even more troubling than the previous sections, because in Russia, all pretense of civilization was dropped and even the German Army was heavily engaged in committing some of the grossest and most evil atrocities ever committed by a supposedly civilized and allegedly Christian people. 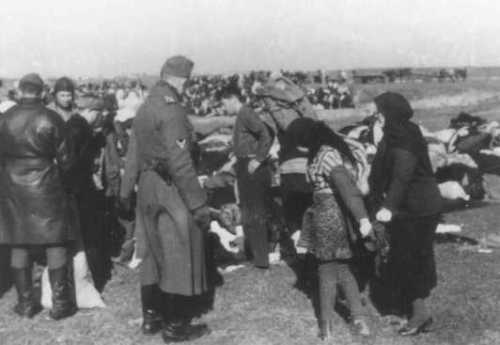 Likewise, it is important to remember that much of what happened occurred before the decision to implement the Final Solution and the operations of the massive extermination camps such as Auschwitz. 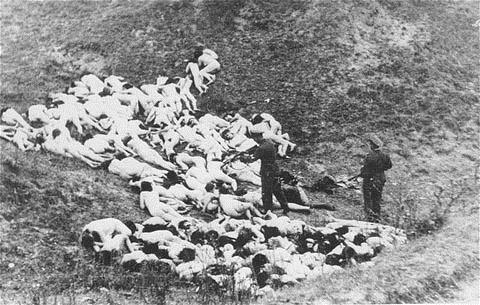 The tragedy is that in so ways that Americans, British, French and the Belgians, as well as the Spanish, not to mention the Russians, Turks, Japanese and so many other have committed genocide. The actions, if they were simply limited to just the Germans of that period could be explained away as a exception, but it is not. 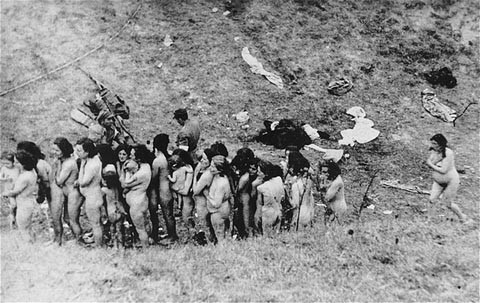 That is what makes these heinous crimes so troubling, as the people who committed them were not that different than us, or our own ancestors. 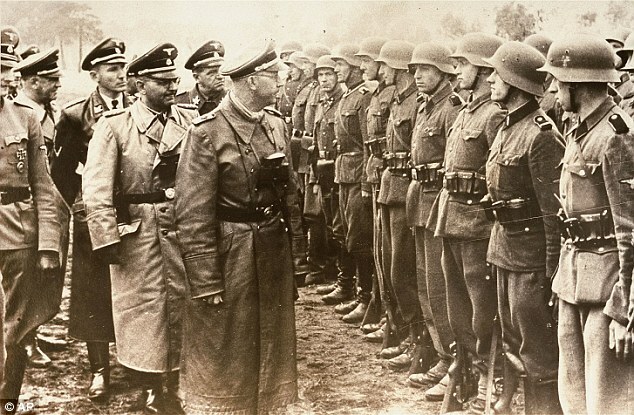 The Nazi war against Russia was the ultimate test of Hitler’s ideological race war. 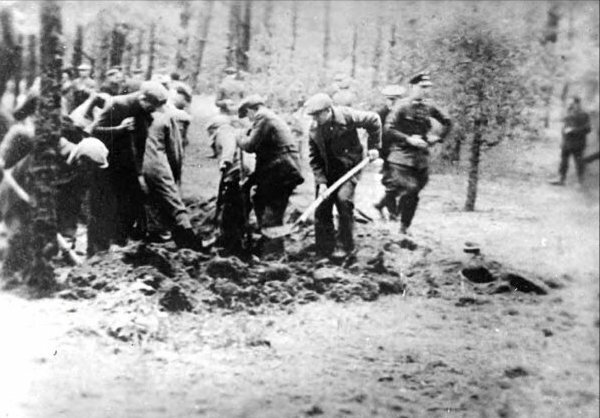 Planning for the war with the Soviet Union began after the fall of France and during the beginning stages of the Battle of Britain. 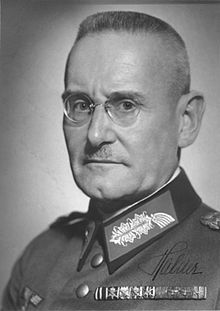 On 21 July 1940 Hitler made “his intentions plain” to the Army leadership and “von Brauchitsch set his planners to work.” 119 The staff at OKH began preparations for the offensive in the winter of 1940-41 following the Luftwaffe’s failure against Britain and postponement of Operation Sea Lion, the proposed invasion of Great Britain. 124 Ibid. Megargee. War of Annihilation p.10 The campaign against the Soviet Union was to be much more openlyideological as compared to the campaign in Poland. 129 Ibid. Höhne The Order of the Death’s Head p. 354 Again another deception. 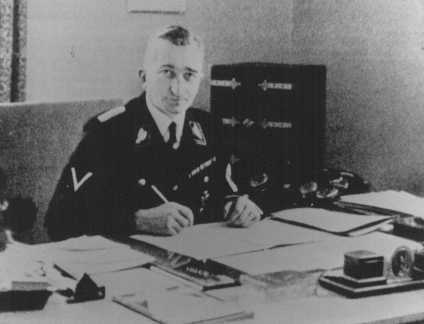 volunteer, Arthur Nebe who was involved in the conspiracy to kill Hitler. 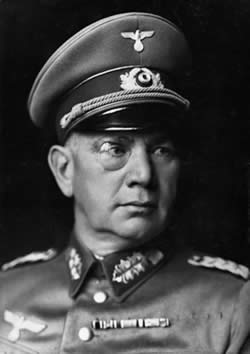 It is believed by many that Nebe volunteered to earn the clasp to the Iron Cross to curry favor with Heydrich and that initially “Nebe certainly did not know that “employment in the east” was synonymous with the greatest mass murder in history. 164 Di Nardo, Richard L. Germany and the Axis Powers: From Coalition to Collapse. University Press of Kansas,Lawrence, KS. 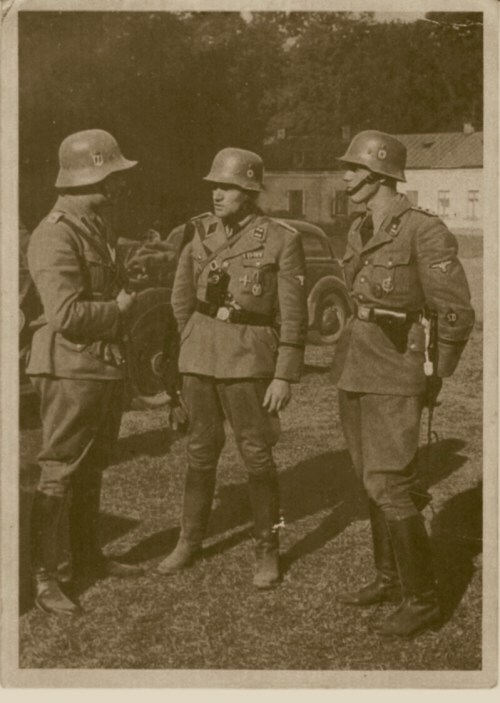 2005 p.133 The Hungarians would also engage in ant-Jewish operations. 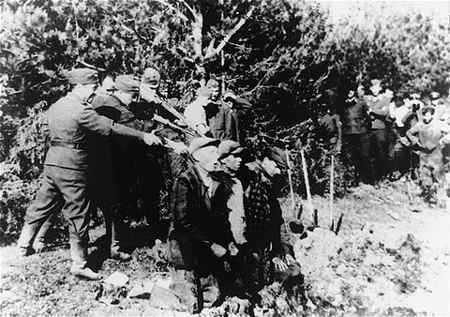 Only the Italian army would not conduct operations against the Jews.